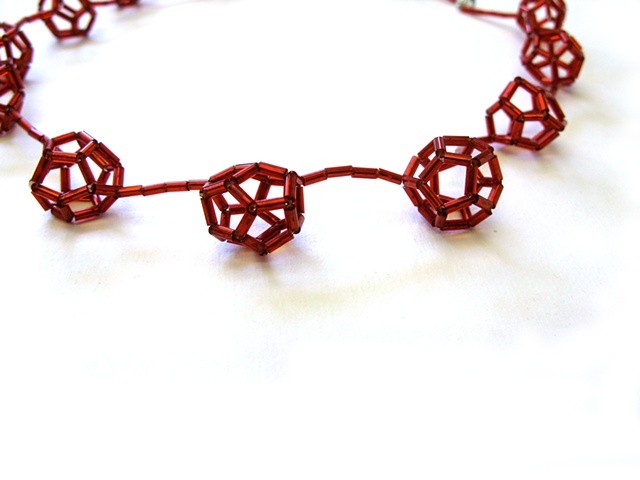 This necklace is a series of interconnected dodecahedrons - a geometry believed to represent an idealized form of Divine thought - made with red glass bugle beads threaded with a fine nylon thread. The necklace clips at the back with a magnetic clasp. Also available in turquoise, silver and black (glass bugle beads).